How to create a SUCCESSFUL travel blog of your own! So, what are travel blogs really about? In todays day and age anyone can take a photo, write a paragraph about their travels and call it a blog. But what makes a successful website these days? I’m taking on travel blogs for my research. Specifically, I’m going to be focusing on my next potential adventure; the Kvarner region located in Croatia. What do I think it takes to be a successful travel blogger? Travel blogs need to persuade the reader not just through words, but by multimedia too. Croatia is a BEAUTIFUL place, why not show it off? To be successful make sure your blog is informative but still easy to ready, interesting and unique, aesthetically pleasing, and full of imagery or video! In Chasing the Donkey, mother SJ Begonja details her experience with Katarina Line’s Croatian Cruise. Begonja uses the blog to detail her itinerary and adventures with her husband and son throughout Croatia. Although the post gives a rough idea about what to expect on the cruise ships, it gives no indication of the cost of the trip or spending. A lack of photos and videos also leaves the reader wonder what the Croatian coastline actually looks like. Why not show off the beautiful, picturesque landscape? Come one people, show us Croatia! Pebble beaches and hidden coves are not all that Croatia has to offer. The island of Susak located in the Kvarner region offers travellers white sand beaches, blue skies, and amazing sunsets. Travel blogger Ewa uses her website Epepa to describe her time on the island that consists of 150 locals, wineries, one village, and no cars. Ewa talks a lot about the culture of the small island, which can’t be seen on most other blogs. Interestingly, the inhabitants of the island have their own dialect that has been preserved overtime due to the fact that they are so isolated from other Croatians! The use of imagery and descriptive language in Ewa’s posts really do make the reader feel as though they’ve already travelled to Susak! Travel and Leisure describes Croatia’s Kvarner region as a “fairyland” and goes into detail about each island visited by writer, Tatijana. The islands of Pag, Losinj, Rab, and Brijuni are all discussed in detail through the blog. We’re able to learn about the culture and history of each island, as well as the best restaurants and hotels. The blog helps potential travellers to know what to expect when visiting the Kvarner gulf and can definitely help them decide which islands to visit! However, visually the blog is quiet bland and does not show off any of Croatia’s beauty through images! We need more photographs of this beautiful land! THE LONELY PLANT is used by travellers all over the world! Offering travel guides, maps, lists of the best activities, adventures and restaurants; its hard to go past. The blog also offers a detailed background of the Kvarner region for all you history lovers! If you’re planning to travel to the Kvarner region, use THE LONLEY PLANT to plan your trip. Unlike other travel blogs, LONLEY PLANT gives readers specific guidelines on what adventures to embark on, and how. Take it from an Australian, you cant fly nearly 20 hours without a plan! Croatia by locals lists the top 10 places you MUST visit whilst in Croatia by none other than those who know it best; the Croatian’s. Dubrovnik of course, sits at #1, and the Kvarner region at #6. Does that mean that you can give the Kvarner region a miss? N O. From museums to walkways with old pine trees and sandy beaches, the Croatian locals can make the Kvarner region appeal to anyone. Filled with imagery, a selection of hotels, and valuable information this blog is aesthetically pleasing and VERY useful to the potential traveller. The internet is full of travel blogs from countries all over the world, but there is still a lack of posts about the Kvarner region. 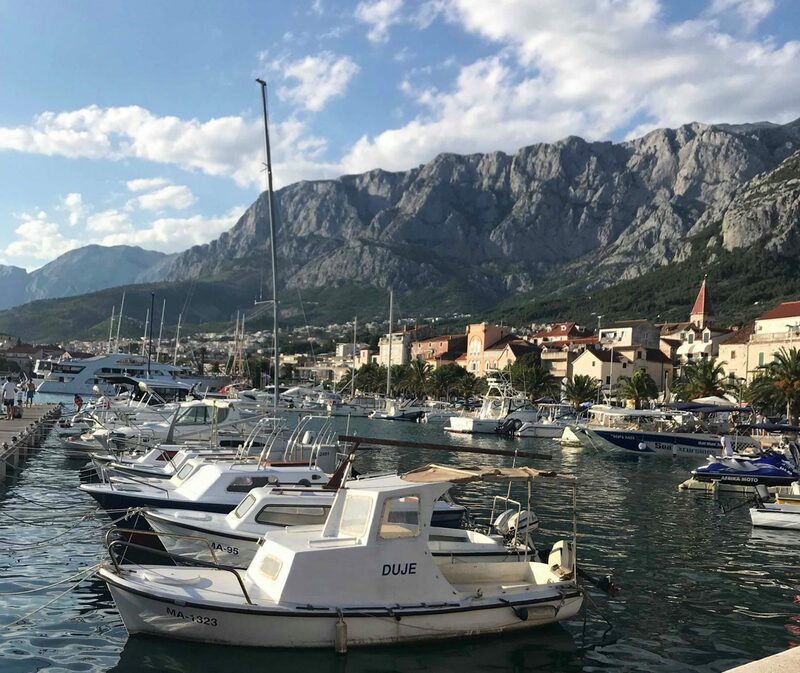 Little information makes it hard for travellers, like myself, to see everything that the region has to offer compared to stops like Dubrovnik or Split, which receives much more attention….. The Croatian tourism industry need to step it up! Previous postGet to Know Me!